Designer and TV host who regularly appeared on the series Grand Designs on Channel 4. He also became an ambassador for the WWF. He double majored in art and Aachitecture while studying at Corpus Christi College in Cambridge. Becoming somewhat of an arbiter on design, he has written several books on the subject. 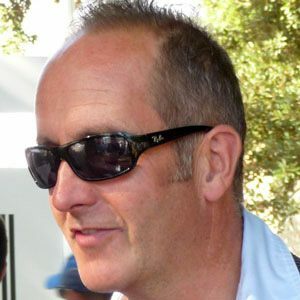 His most well known book, Kevin McCloud's Decorating Book, was translated into five languages. He had four children with his longtime wife Zani McCloud. Like reality star Jeff Lewis, he has made a career out of home design.